Thanks so much to Disney for providing my family with tickets to attend this event. All opinions are 100% my own. 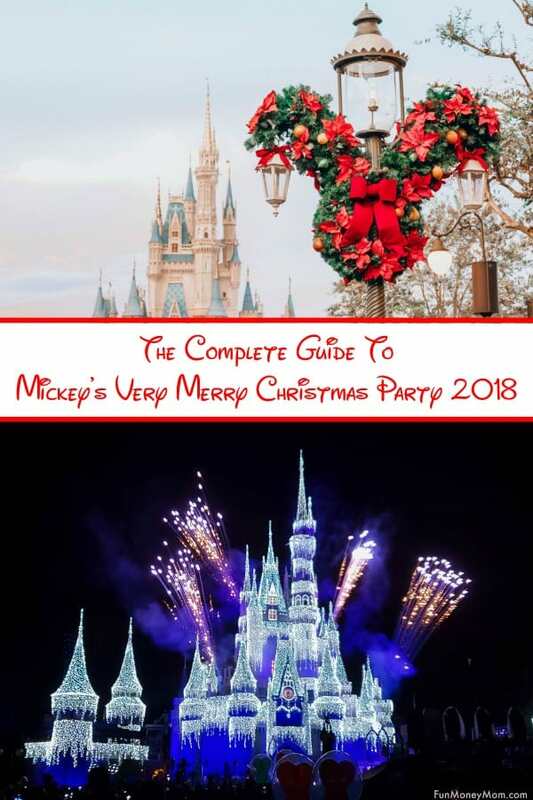 My girls and I were SO excited to get an invite to Mickey’s Very Merry Christmas Party this year! We’ve gone to Mickey’s Not So Scary Halloween several times but we’d never been to this event. 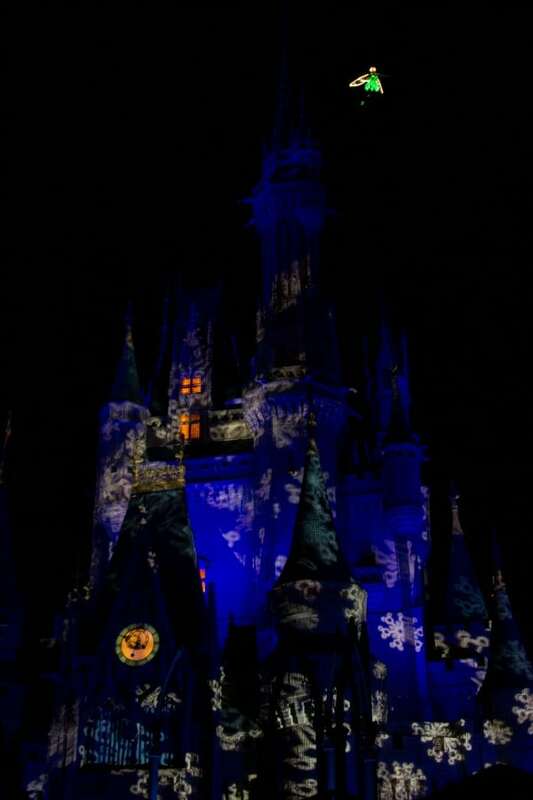 I already love Disney World during the holidays for the decorations alone and hadn’t seen them yet this year. 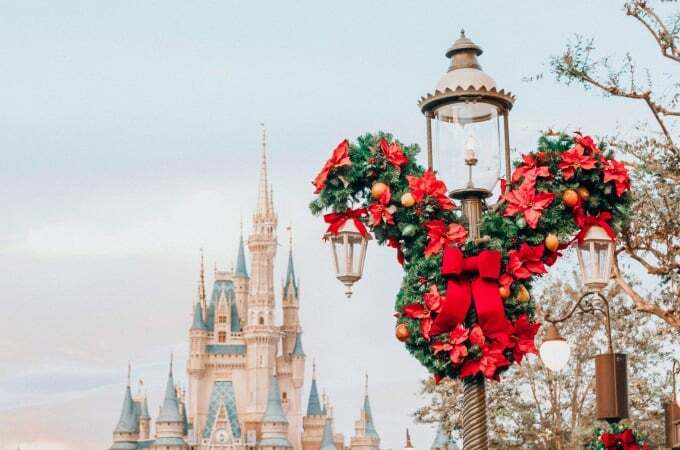 The Christmas magic began as soon as we pulled up to the gates and were greeted by giant Mickey and Minnie snow people. 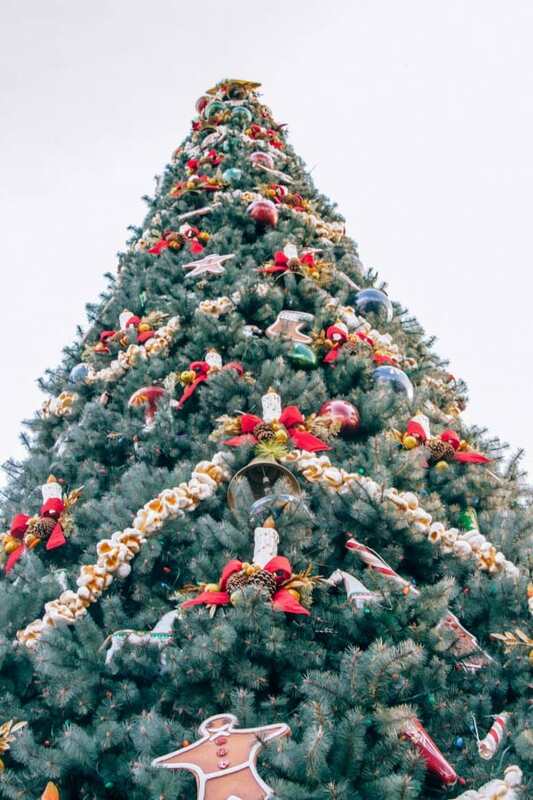 Of course, it’s not Christmas without a tree! Everywhere you look, Mickey wreaths line the streets. It gets even prettier as the sun starts to set. As the sun goes down, the lights come on. Then it’s time to enjoy Mickey’s Christmas Party! 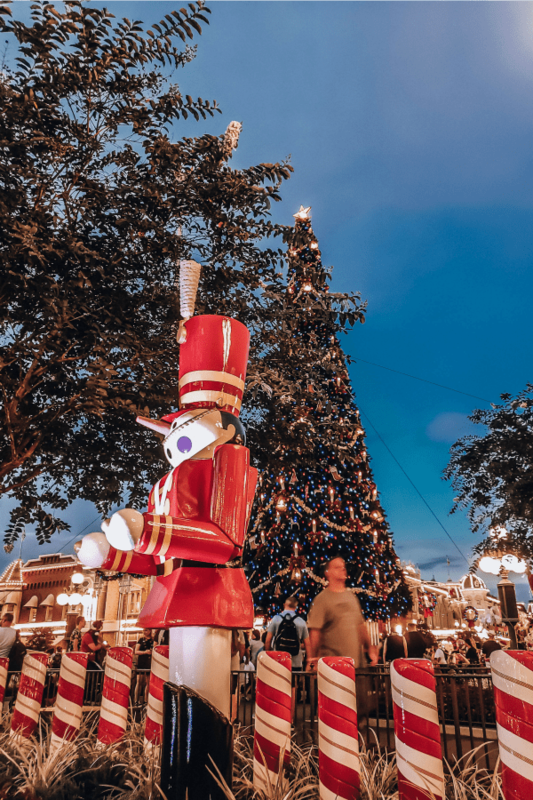 Mickey’s Christmas Party is a special ticketed event that families can attend on select nights starting in November. There are special shows, treats, character experiences and more. Since only a limited number of tickets are sold, the lines to ride attractions are much shorter too (definitely a bonus!). 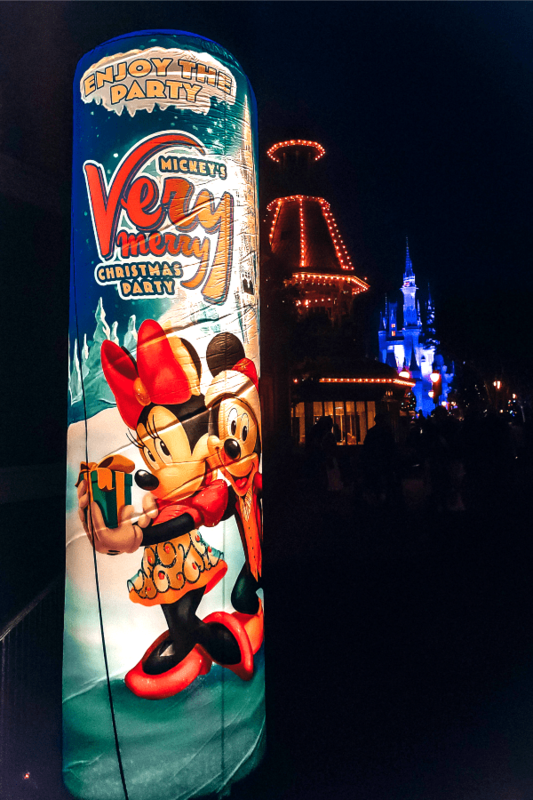 Where Can You Buy Mickey’s Very Merry Christmas Party Tickets? Prices for this even start at $105 for adults and $100 for children, but vary depending on which day you choose to attend. You’ll be able to figure out what the crowds will be like since the busiest days will also be most expensive. You’ll have to purchase a regular admission ticket separately. If you’re buying tickets straight from Disney, you can save $10 by purchasing them a day or more in advance. 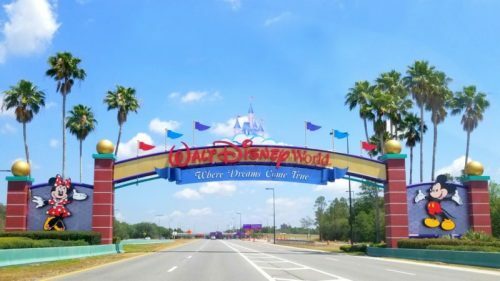 You may be able to get bigger savings (as well as save on regular theme park tickets, hotels, etc) by going through my favorite discount site for theme parks, Undercover Tourist. 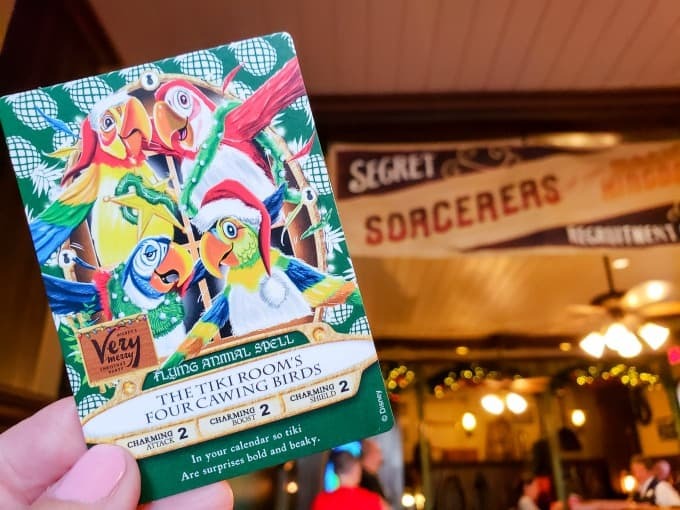 There are so many awesome things to do at Mickey’s Very Merry Christmas Party that you’ll have to pick and choose your favorites. I had to choose between fireworks or waiting in line to meet the Seven Dwarfs…fireworks win every time! My girls love Sorcerers Of The Magic Kingdom so this was at the top of their list. When you enter the park, head to the building in the far left corner that looks like a fire station. 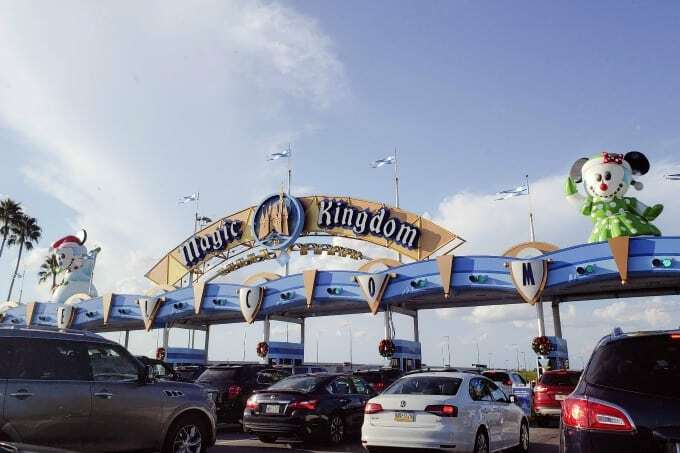 That’s where you can get your regular Sorcerers Of The Magic Kingdom cards. When you attend one of Disney’s special parties, you can also pick up a special edition card designed just for the event. These special cards are collectibles and highly sought after (as your kids could probably tell you). It’s totally worth it to take an extra minute to pick one up. Catch all your favorite Disney characters, including Santa Mickey and Minnie, in this festive holiday show just outside Cinderella’s castle. 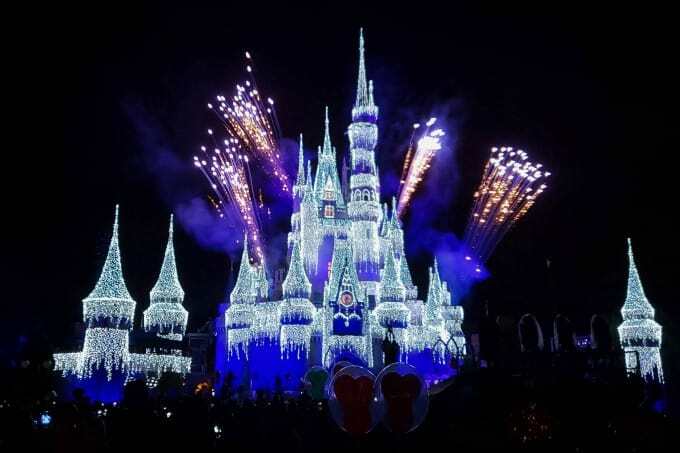 You don’t want to miss this spectacular show as Elsa transforms Cinderella’s castle into a beautiful ice castle! This may have been my favorite event of the night! Since pictures just weren’t enough to capture the magic, check out this video! How gorgeous is that? 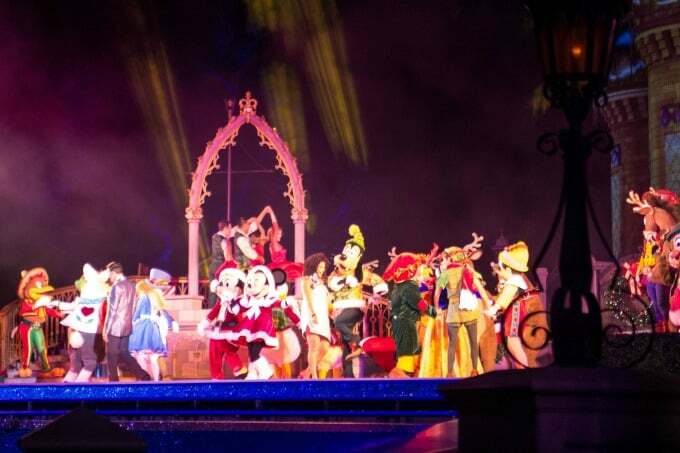 It’s definitely one of the highlights of Mickey’s Christmas Party! 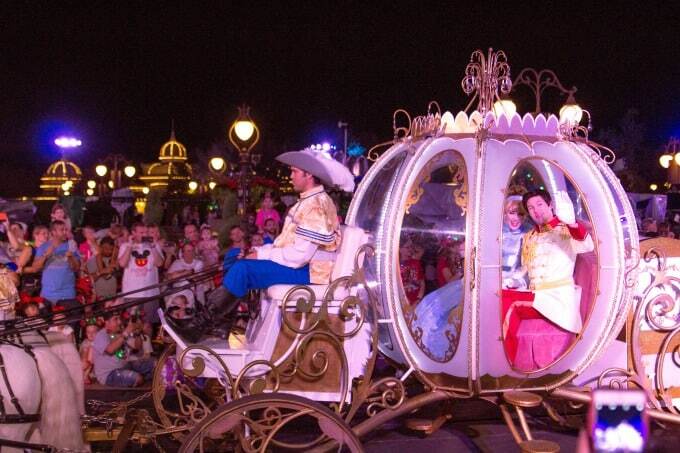 From Wreck It Ralph to Disney princesses, so many of our favorite characters were in this parade! We saw Pinocchio, Alice In Wonderland and even Clarabelle the Cow. 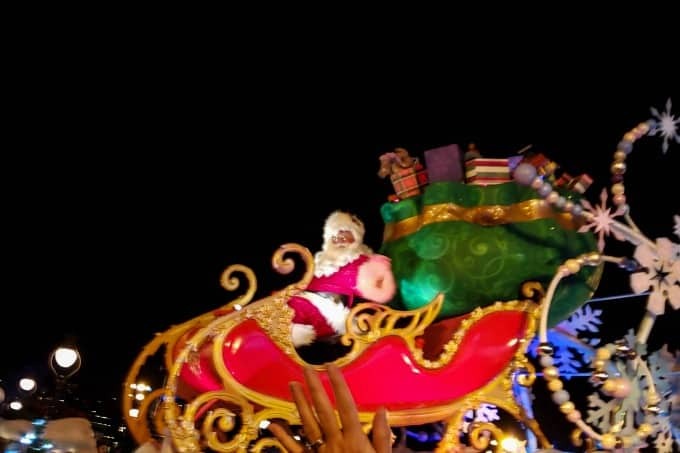 Of course, it wouldn’t be a Christmas parade without Santa Clause! 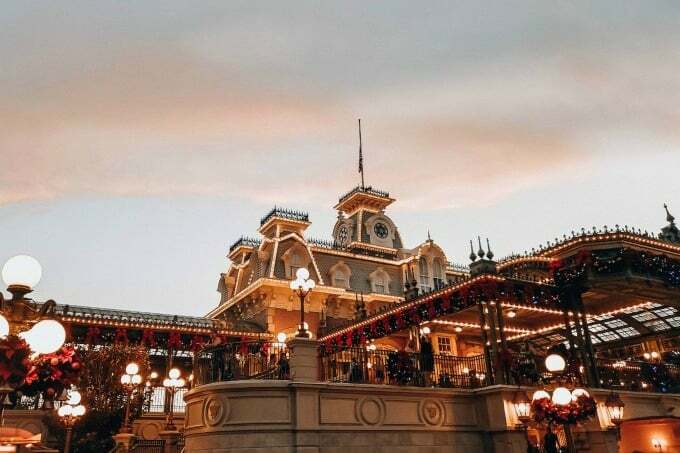 It’s tempting to want to skip the parade to ride attractions but you’ll want to catch this at least once during the night! Be sure to watch the sky when the lights go down. There may just be a special surprise appearance from one of your favorite fairies! 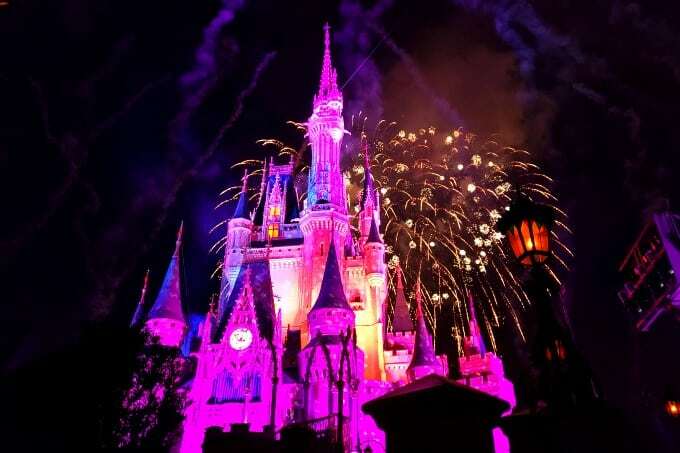 If you know anything about Disney, you know that their fireworks shows are spectacular! There’s only one fireworks show each night so if you want to catch it, you’ll need to plan accordingly. 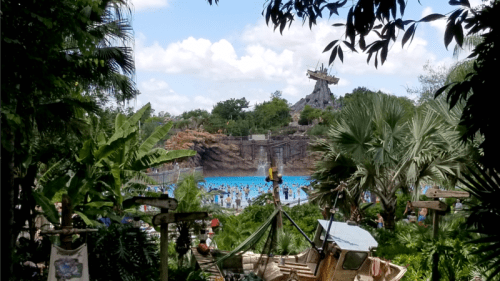 If you’re wondering where the best viewing location is, Disney Tourist Blog has written an entire article with all the best viewing tips. 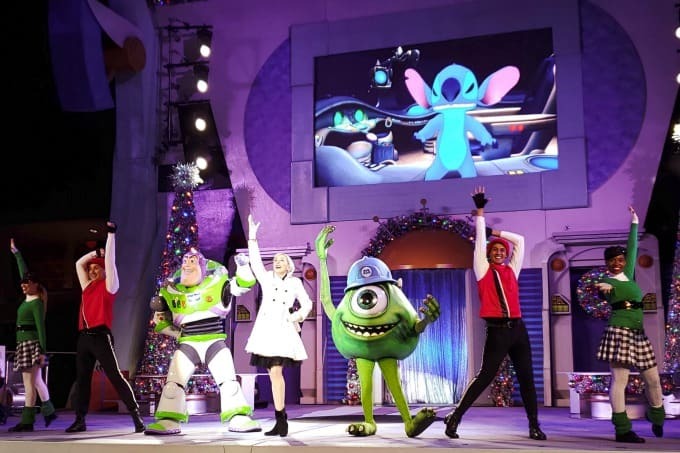 Head to Tomorrowland to join Stitch, Buzz Lightyear and Mike Wazowski as they sing along to all our favorite Christmas songs in this fun stage show! Little Keira had a blast at Club Tinsel in Cosmic Rays Starlight Cafe. We actually came for the food but when she saw the dancing reindeer, followed by super huggable polar bears, she turned into a little dancing queen! Ashling was entertained just watching her sister floss the night away! We missed seeing this a cappella group perform but you can catch them several times a night at the Tomorrowland stage. 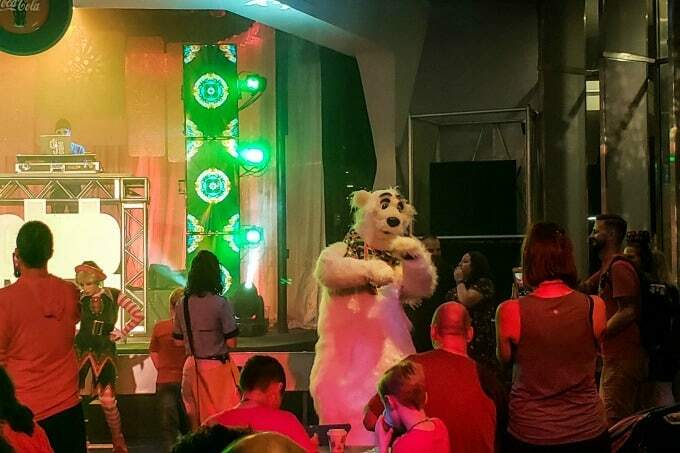 These parties feature character meet and greet opportunities that you won’t normally see at Disney. You’ll want to pick and choose your favorites though because the lines can be long! 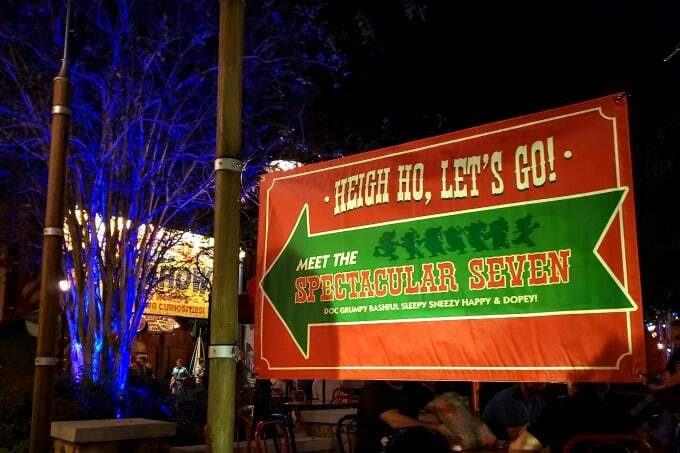 I really wanted to meet the Seven Dwarfs but when I got in line, it was over an hour long. The fireworks were starting in 40 minutes so I had to make a big choice…the Dwarfs lost. You can also meet Jack Skellington (as Santa), Moana, Peter Pan and lots more. 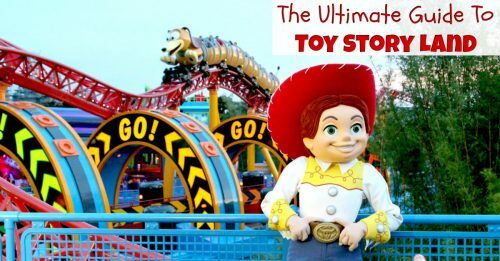 I’d like to go just once and spend the whole time meeting characters but this time there were just too many other fun things to do! Keira and I were all about the holiday treats! 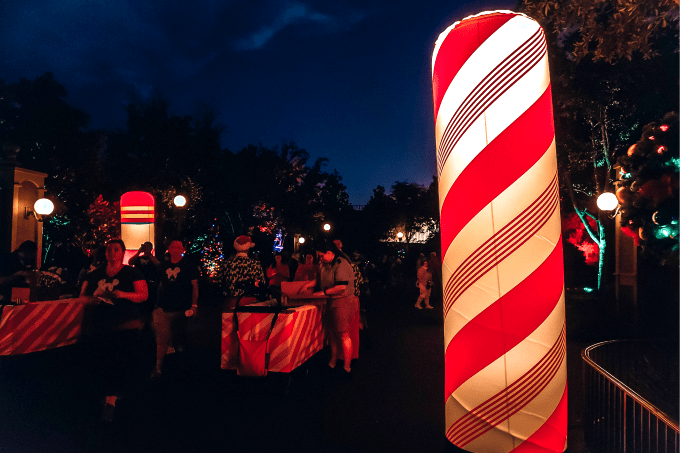 Wherever we saw a giant peppermint stick, we knew there’d be cookies, snow cones, hot cocoa or something else to satisfy our sweet tooth. Snow in Florida? It was pure Disney magic! It “snows” on Main Street during the parades, at Mickey’s Most Merriest Celebration and at the end of a Totally Tomorrowland Christmas. If snow doesn’t put you in the holiday mood, nothing will! Is there anything Disney doesn’t think of? We had the best time at Mickey’s Very Merry Christmas Party and it was a perfect way to start the holiday season! This is definitely going to be on our must-do list every year.